You just brought home a new kitten. You have all the necessities in place, plus a few toys and treats for good measure. You know that before too long that ball of fluff will grow up and start calling the shots in your relationship, but for now you want to ensure that your pet gets all the love and attention he or she needs. 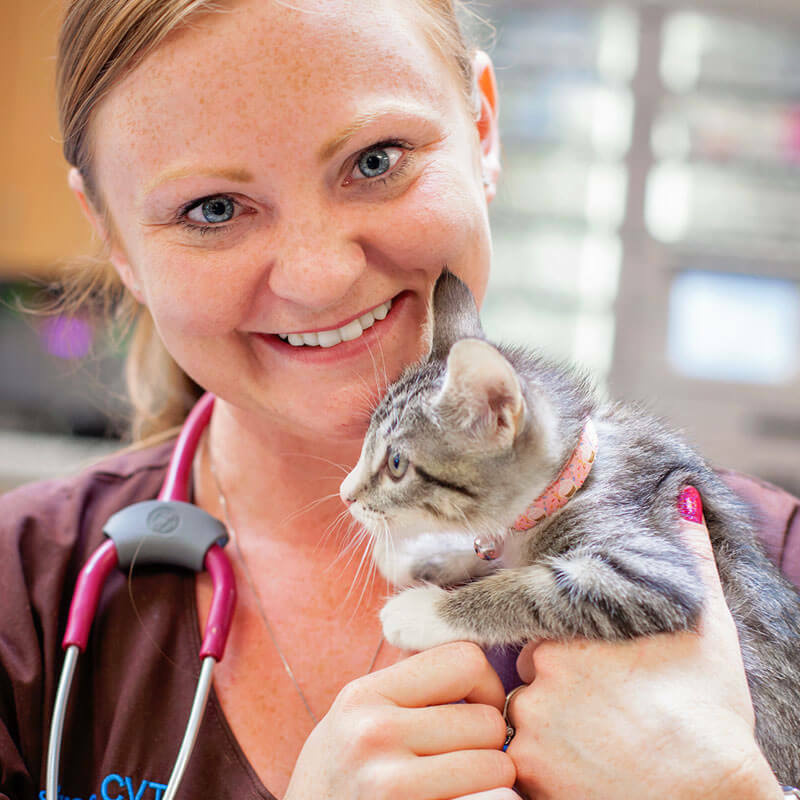 If you own a kitten in Phoenix, Mesa, or Chandler, AZ, bring your new pet to 1st Pet Veterinary Centers. We will give your kitten an essential first checkup to make sure he or she is healthy and ready for your home. We offer core vaccinations and boosters for cats, and we can inform you about non-core vaccinations your kitten might need. We check your new pet for dangerous infectious diseases such as Feline Leukemia Virus and Feline Immunodeficiency Virus. You can help improve your pet’s health and reduce pet overpopulation by spaying or neutering your cat. Since spaying and neutering have inherent risk, we take extra precautions to make sure that every procedure goes well. Every spay or neuter procedure includes pre-operative blood work to make sure that anesthesia is safe for your pet, continued intravenous fluids during the entire procedure, pre-operative pain medication, localized pain-blocking medications, pain medications for home recovery, and a designated veterinary technician that monitors and takes care of your pet until it wakes up from the anesthesia, making sure that is is comfortable, cozy, and warm during recovery. Schedule vaccine boosters and discuss any of your concerns, from socialization to litter box training. If disaster strikes, we are here for you and your pet 24/7. Come in anytime you need! You can bring your kitten to any of our three locations in Arizona. We have animal hospitals in North Valley Phoenix, Mesa, and Chandler, and each location offers General Practice as well as Emergency care. Our team understands how much you love your pet, and will give you and your kitten the care you both deserve. Remember to help your new kitten’s life get started off right! Stop by any of our locations or contact us today and schedule an appointment with one of our veterinarians.